(Durham, NC) – American Tobacco Campus, the nationally acclaimed and catalytic redevelopment project based in Downtown Durham, has hired global real estate leader CBRE to lead a revisioning strategy designed to bring new restaurant and experiential concepts to the more than 4,000 daily workers and residents and more than 1.3 million visitors to the historic campus. Working with campus leadership, CBRE has immediately begun its analysis of current offerings both on campus as well as popular trends and gaps in the market that could work well for the campus’ massive audience. 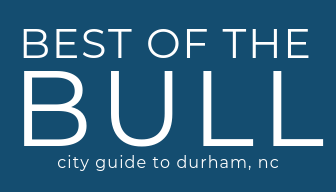 Made up of the historic campus (which has been completely revitalized to include more than 1 million square feet of Class-A office space, expansive outdoor interaction areas, an amphitheater, event spaces, residential apartments, movie theater, and even a river), the Durham Bulls Athletic Park, Diamond View office buildings and the Durham Performing Center, American Tobacco is a city district unto itself. The CBRE partnership comes at a key moment for the campus as it plans its largest-ever expansion to the adjacent 11-acre site previously occupied by University Ford and Kia. As a global leader in real estate strategy, retail consulting and restaurant advisory, CBRE brings a wealth of unique firsthand knowledge and experience to bear. They will leverage local and national tenant relationships along with case studies and experience with some of top adaptive re-use and mixed-use projects in the United States.